Although getting a flu vaccine is the best way to protect yourself against illness this winter, the flu shot is not 100% effective. The flu vaccine may not protect everyone from the flu, but the CDC reports that it can still prevent several flu-related complications. Limit Contact: Try to avoid close contact with people who are sick, and if you fall ill, limit your own contact with others. The CDC recommends that people with flu symptoms remain at home for at least 24 hours after their fever has subsided except to seek medical treatment. Wash Your Hands: It is important to wash your hands frequently all season long. Use soap and water, and scrub your hands thoroughly every time. If you do not have access to a sink with soap, use an alcohol-based sanitizer, instead. 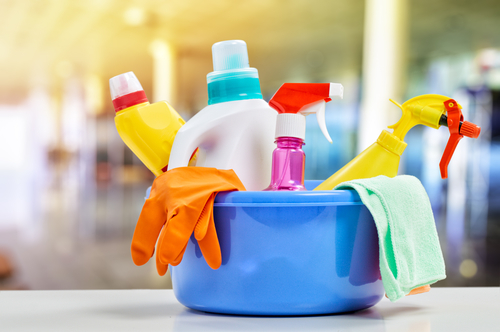 Disinfect Surfaces: Clean and disinfect the surfaces in your home, car, and office that could easily get contaminated with disease-causing germs. Bring portable bleach wipes with you when you’re out running errands so you can wipe down the handle on your shopping cart. You can also carry alcohol-based sanitizer in your purse for when you’re in a pinch and don’t have any wipes handy. If you want to avoid catching the flu this year, the above tips will help. Ultimately, it comes down to developing an awareness of where flu germs are likely lurking. For example, you should avoid touching your eyes, mouth, and nose, especially when you’re out in public. If you want to protect your family from the flu this year, turn to HealthSmartVaccines in Chantilly, VA. Call (703) 961-0733 to schedule a flu vaccine today.